Talk to the ODI Team! In order to develop an inclusive community for instruction, research and outreach, the University of Connecticut embraces diversity and cultivates leadership, integrity, and engaged citizenship among our students, faculty and staff. This collegian and vibrant environment promotes and nurtures perspectives that are enabled through differences in culture, experience and values. To achieve this goal, the university emphasizes diversity in the recruitment, retention and advancement of students, faculty and staff. Dean of Students office personnel will be available at AsACC for students on a walk-in basis, for consultation on any issues or concerns. The UConn Queer Collective, a new student organization, is proud to announce that it will be holding a weekly discussion group for asexual and aromantic students. Previously known as Aces and Aros, Spaces for Aces provides a great opportunity for individuals who identify as asexual and/or aromantic to meet and discuss relevant topics. Meetings will begin Monday, February 4th and be held weekly. NOTE: This group is confidential and open only to those who identify or believe they identify with the above orientations. Please practice good allyship and allow the space to be used by those who are in need of it. The Rainbow Center is a UConn/Storrs campus spot to get a free and private Rapid HIV/AIDS test and a HepC test which allows for results to be known within the half-hour, made possible with the generous support from the ARROW (AIDS Risk Reduction Outreach Worker) program of Perception Programs, Inc., of Willimantic (http://www.perceptionprogram.org). This test is free of charge and open to all, however there are approximately SIX spots available per day of testing! No appointments will be taken due to the need for privacy. Arrive early because testing is first come, first served. Numbers will be given out to individuals and people need to wait in the office. If a person leaves the office and their number is called, we can substitute another person at our discretion. If a person misses their opportunity to get tested because they need to leave, they can be tested on another day that we offer the testing. 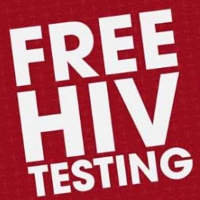 Also, there is free HIV testing at your local Department of Health and other organizations. Consult http://www.hivtest.org for more test sites in your area. 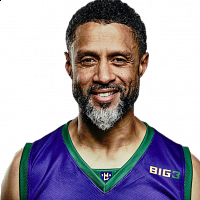 Mahmoud Abdul-Rauf (born Chris Wayne Jackson) is a former American professional basketball player. Abdul-Rauf played basketball for Gulfport High School before enrolling at Louisiana State University to play college basketball for the Tigers. Twenty years later, despite losing prime years of NBA stardom, enduring death threats and having his home burned to the ground, Mahmoud Abdul-Rauf still does not stand for the national anthem. This event is co-sponsored with the Asian American Cultural Center's Salaam program, African American Cultural Center, Center for Students with Disabilities, SUBOG and the Muslim Student Association. Looking for a Scholarship to Study Abroad? Do you receive Pell funding? THINK GILMAN! Come join us in Student Union 403 for a discussion group focused on questioning and coming out. We will meet every other Tuesday from 5:30-6:30 pm. Please practice good allyship by allowing those who need the space to utilize it freely. Come join us in the 1st Floor of the Student Union to engage in conversation about this important day for our community!